A beautiful setting for men's chorus of the beloved hymn. A simple yet driving piano accompaniment paired with lovely lines in the strings add an ethereal foundation to the well-crafted vocal lines. Singable, yet very moving. Cameron LaBarr Choral Series. This joyful American song has been set beautifully by composer John Wykoff. Speaking of how we will "all rise together" in the morning, this work reflects on the idea of leaving the troubles of the world to embark on a better day. A wonderful concert opener that is accessible to many levels. Cameron LaBarr Choral Series. Blake Wilson's setting of the Olde English poem Caedmon's Hymn is an extremely dynamic exploration of sound. For advanced choirs, this work is an impressive challenge for your choir. A unique addition to your program. Cameron LaBarr Choral Series. This lesser-known spiritual has been masterfully and simply set by Anthony Trecek-King. Singers are encouraged to use improvisation, inflections, and note bending to create the most authentic sound. Achievable and moving, with themes of resilience and home. Cameron LaBarr Choral Series. Patrick Hawes' gentle and thoughtful music perfectly fits this simple, yet profound, text: Give light to my eyes lest I sleep unto death. Cameron LaBarr Choral Series. Laudate Dominum is a lovely a cappella work for SATB choir, featuring a beautiful melody and gorgeous harmonizations true to the composer's style. Flowing and forward-moving, this uncomplicated work is a delicate and joyful addition to any program. 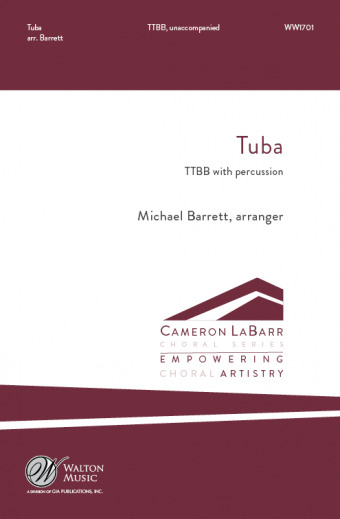 Cameron LaBarr Choral Series. Movement 3 from the larger work, Over Jordan. The brilliant William Averitt has put his dynamic spin on this folk hymn using challenging but achievable vocal lines unaccompanied in this movement. Cameron LaBarr Choral Series. Written for performance at the 58th presidential inauguration, with text by Pulitzer Prize nominated poet Michael Dennis Browne and music by John Wykoff, Now We Belong is a moving anthem that expresses sentiments of love, unity, and peace. Cameron LaBarr Choral Series. The brilliant William Averitt has put his dynamic spin on four American folk songs and hymns in this multi-movement work. Challenging but achievable vocal lines are paired with truly unique and masterful four-hand piano writing. A great chance for your audience and singers to experience these well-loved songs in a completely new way. Cameron LaBarr Choral Series. Movement 4 from the larger work, Over Jordan. The brilliant William Averitt has put his dynamic spin on this folk hymn using challenging but achievable vocal lines paired with truly unique and masterful four-hand piano writing. Cameron LaBarr Choral Series. Robert T. Gibson's fantastic arrangement of This Little Light of Mine will appeal to many levels of treble choruses. Singable and skillfully arranged, this setting is fun, exciting, and captures the gentle joy of this spiritual. The piano accompaniment is simple and supportive. Your singers will love this! Cameron LaBarr Choral Series. Thixo Onothando is a popular isiXhosa hymn performed throughout South Africa. It is an uplifting song of praise led by a group of soloists who portray the roles of religious leaders. The use of percussion and movement adds a great deal. As performed by the University of Pretoria (TUKS) Camerata on the South African televised national competition, Varsity Sing. Cameron LaBarr Choral Series. A simple and joyous South African song stating "Look at the dove on that tree!" Use a soloist or a small group of singers along with improvised percussion and ululations to create an unforgettable performance. Available in both SATB and TTBB voicings. Cameron LaBarr Choral Series. Movement 1 from the larger work, Over Jordan. 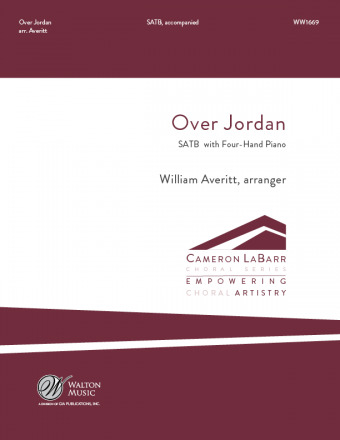 The brilliant William Averitt has put his dynamic spin on this hymn using challenging but achievable vocal lines paired with truly unique and masterful four-hand piano writing. Cameron LaBarr Choral Series. Movement 2 from the larger work, Over Jordan. The brilliant William Averitt has put his dynamic spin on this hymn using challenging but achievable vocal lines paired with truly unique and masterful four-hand piano writing. Cameron LaBarr Choral Series.